Paving the way, with a concrete reputation. 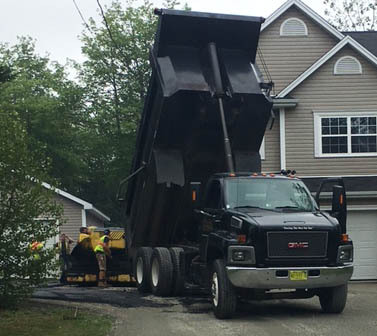 Paving a driveway takes a little bit more know-how than shoveling asphalt on a strip beside your home. If you don't have a clear idea what you need from base to sealer, an unethical contractor could talk you into unnecessary and expensive work or inferior materials. I respond to text messages and phone calls within 2 hours so if it is urgent, please do not use email. Driveway paving is one if the most common sources of property owner complaints. Be careful of special discounts and deals (such as 50% off), you get what you pay for. A deal usually means less asphalt and poor workmanship. "The Bitterness Of Poor Quality Remains Long After The Sweetness Of Low Price Is Forgotten". So where do you turn for expert advice and service? DCT Paving for quality. If you had a driveway done by DCT and are looking for the "Do's and Don'ts", you can download it here. Our calendar is filling up quickly so book your estimate soon! We have been around for more than 25 years so you can feel confident we'll be around tomorrow. We live and work in your community and are only a phone call away. Just in case something were to go wrong, you are protected. We have paved hundreds of driveways, seen it all, and know how to fix it. An A+ rating with the Better Business Bureau is proof we look after our clients. 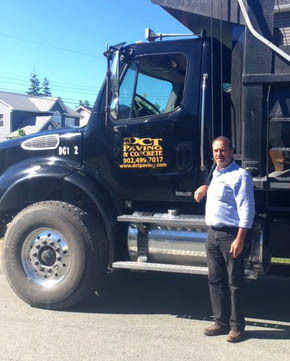 We have the right tools for the job, from small driveway to commercial parking lot. DCT has the highest rating for customer satisfaction possible. Dealing with an accredited member of the BBB gives you a huge advantage. Check out the benefits. You won't have to worry about your new driveway for a very long time because we stand behind our work. We do all the work ourselves (no sub-contractors are ever used) so you can rest assured it is done right. Our honesty and integrity are reflected in the A+ rating with the BBB. We make your paving project affordable. Get at least 2 estimates and compare what is included so you can compare apples to apples. Ask for references. A reputable company will be happy to supply them. Are they fully insured & bonded? You don't want to be on the hook if something were to happen. Are they accredited with the BBB? How long have they been a member? What rating do they have? How long have they been in business and is it still under original ownership?